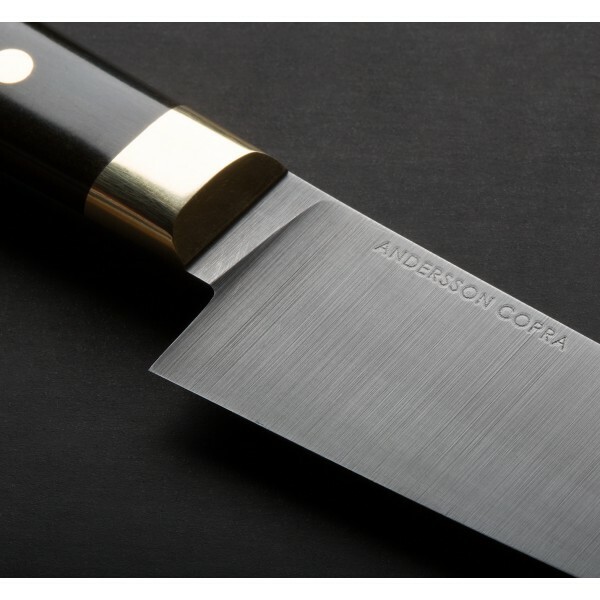 Andersson Copra’s Classic Black Paring, along with the Classic Black Chef, is fully handmade with a vintage Bakelite handle, a solid brass bolster, and a Swedish-made Uddeholm UHB-20C carbon steel blade individually hardened to 62 HRC. 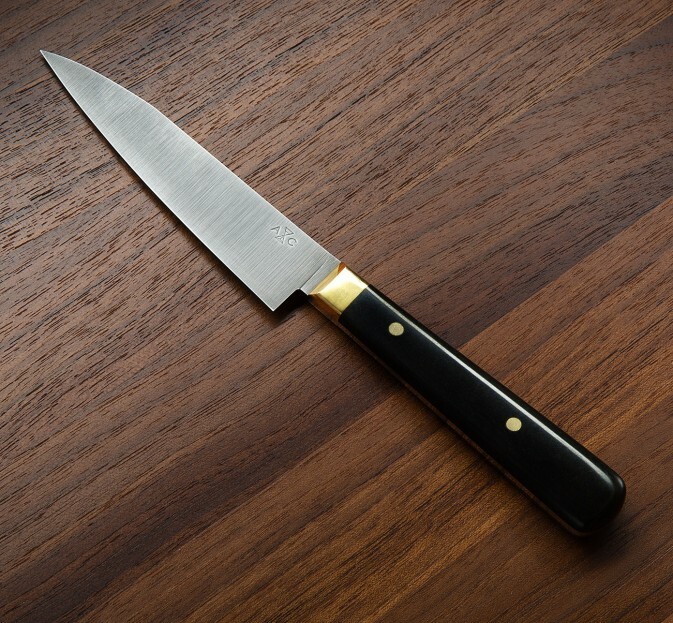 The blade's forced patina will age beautifully and gives the knife a sharp and modern look. The fine-tuned design and hard and sharp cutting edge make this versatile and handy paring knife great for delicate peeling and light prep work. 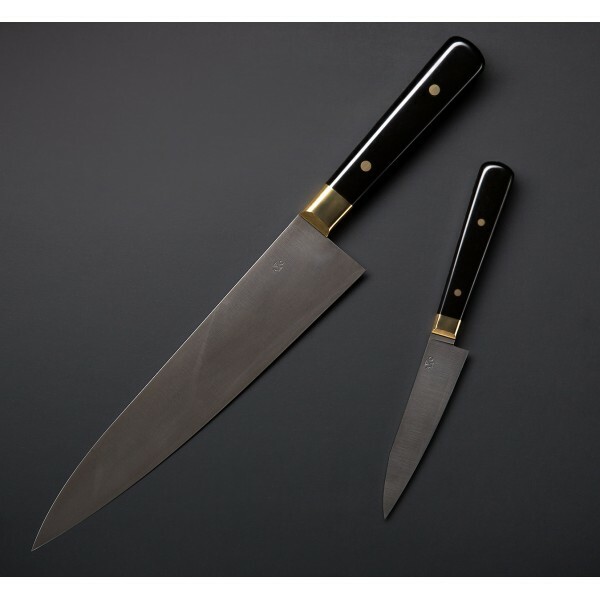 The blade is formed on a water-cooled grinder, and its thin edge has a flatter convex grind than the Classic Black Chef. 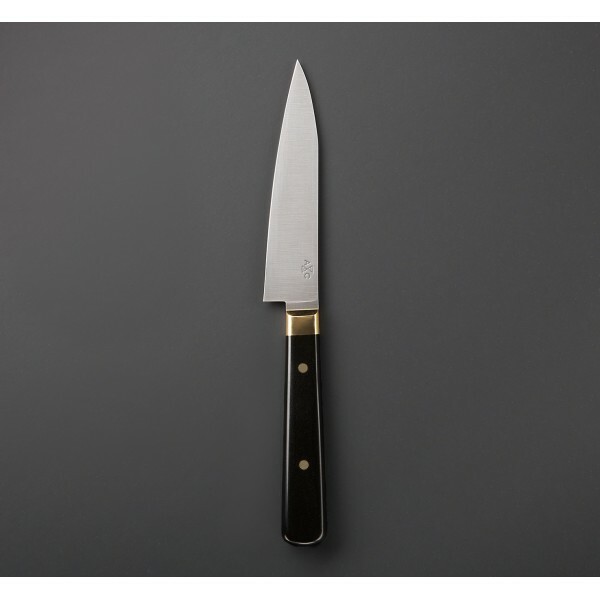 Classic and elegant, this knife will stand out on your knife rack and in your hand. Joel Andersson and Adisa Copra are the couple behind Andersson Copra, making handmade kitchen knives in their studio in Gothenburg, Sweden. 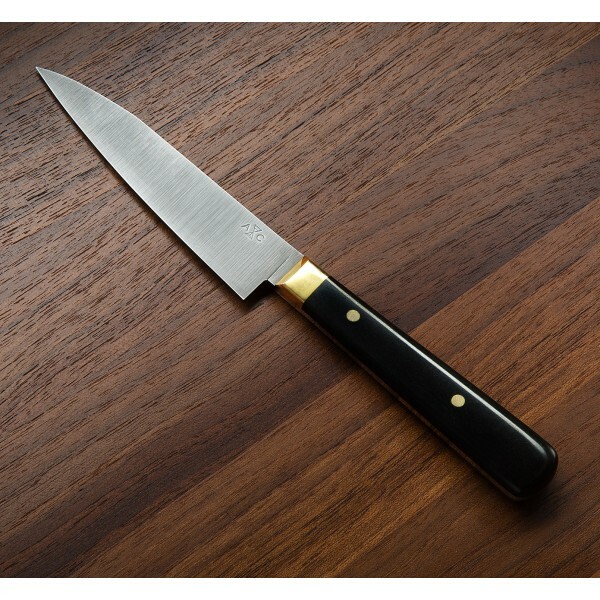 A modern reinterpretation of the French archetype, their Classic Black collection, including this paring knife, is as beautiful as it is functional. The beauty of simplicity is evident in every knife. 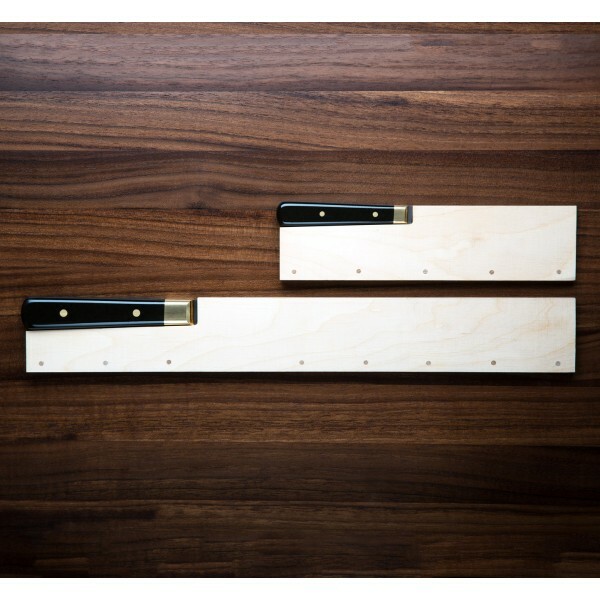 Included with all of Joel and Adisa’s knives is the uniquely designed wooden transport case made from reclaimed furniture. 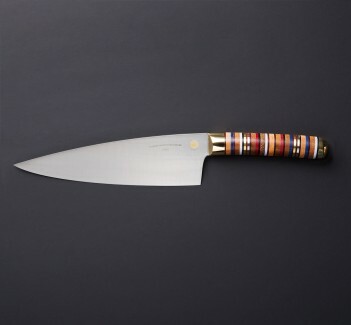 4.3" (110mm) Blade, 8.25" overall. Blade width at heel: 2.5mm. Blade height at heel: 24mm.